I mentioned the Nevada Southern Railway in a blog about the quaint town to the southeast of the Las Vegas Valley... Boulder City, NV. It lies just beyond Railroad Pass, and where our Dam Neighbors live. Yes this is the town born from 1930's Hoover Dam, and still has it's 'Mayberry' style charm and remains gambling free to this day. This is where the Nevada State Railroad museum operates it's rides on the Boulder Branch Spur of track used in the building of the man made wonder that created Lake Mead. This museum began in 1996 with a maintenance facility, and in 2000 the passenger platform was built. State purchases and donations created it, and funded the majority of the painstaking restorations, done primarily through the valiant efforts of dedicated volunteers. 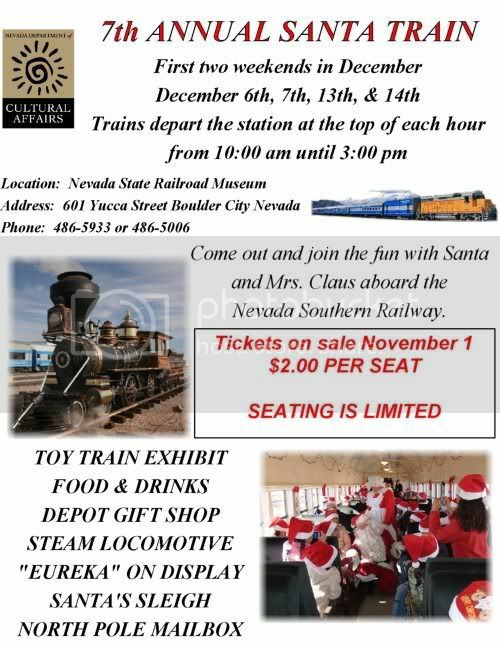 Nevada Southern currently offers train rides on Saturdays and Sundays in a train of their restored cars that range from open-air to air conditioned and heated Pullman coaches, with one wheelchair accessible. They are powered by one of their 4 restored Diesel Locomotives. The round trip from the platform on Yucca St. to Railroad Pass and back lasts approximately 45 minutes and is about 3 miles each way. The cost is $8 for 13 - 64 year olds, $7 for those over 65, and $4 for children 3 - 12. For $1 off the adult fares, Click Here for a printable coupon. Those aren't the only rides they offer, and they even have some for the big kids that want to drive. 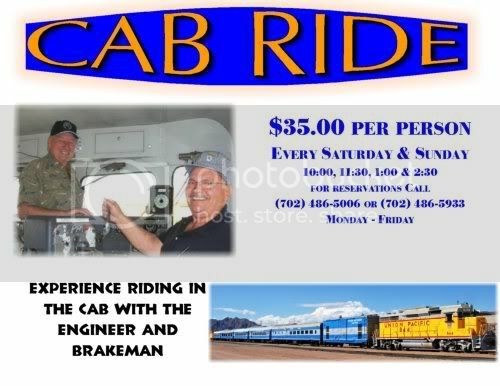 With advance reservations on Tuesday through Friday, those over 18 can pilot one of the four locomotives with their Engineer for an Hour for $250. That includes being instructed and accompanied by one of their certified engineers, and you can bring along an over 18 guest to share the experience. If you just want to call 'shotgun' and ride up front, with the engineer's permission and $35 you can do a Cab Ride. Then for the first 2 weekends in December there is the Santa Train. For $2 you can ride the decorated train with Santa and Mrs Claus on board. Of course there will be food and drink available at the platform, and the gift shop will be open. You'll also notice that there's a very special guest appearance during the Santa Train. The historic and beautifully restored 1875 Narrow Gauge Steam Locomotive, the 'Eureka'. There are only 3 remaining of this type, and both of the others are newer, but no longer operational. Those others are in museums, one in California, the other in the Smithsonian in Washington, DC. Not only will Eureka be on display at Nevada Southern, but this wood fired piece of history is scheduled for demonstration runs. A little bit of the history of Eureka. 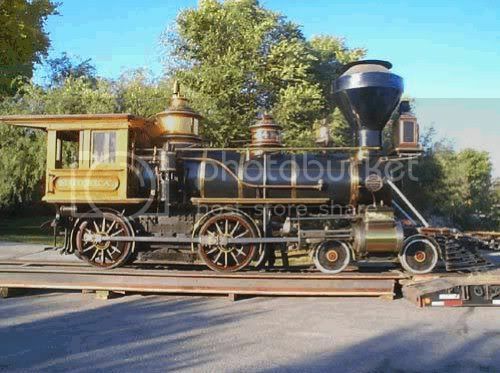 It was built in Philadelphia by American Standard and was transported across the Transcontinental Railroad to the town of Palisade in central Nevada. For 26 years it was part of the Eureka and Palisade Line, the major transportation between the 2 towns, carrying wood, silver, and passengers. In 1901 it was sold to a lumber company near Lake Tahoe, where it remained in operation until 1939. After it served it's use there, it was shipped off to San Francisco to be sold for scrap. It amazingly was saved from doom to become a celebrity. If you watch any classic movies or TV westerns, you may recall seeing the Eureka along side actors such as John Wayne. Yes, the first savior was a Warner Brothers Studio soundman that purchased it as a prop, and was used many times between 1940 and 1976. Afterwards, that's when it made it's way back to Nevada and into the Las Vegas Valley, turning up in 'Old Vegas' that for a short time was called 'Westworld'. It was a themed amusement park on 126 acres in southeast Henderson, not far from where it will be on display with NSR. Today the area is now a home development aptly called Old Vegas Ranch, with wild west street names that tie it to it's namesake. The park consisted of several rides, restaurants, a casino, and a 'fort' that featured several western movie prop buildings, and cottages that survived the El Rancho Casino fire of 1960. The park also had a show biz connection, appearing briefly in Elvis Presley's "Viva Las Vegas" and in some outdoor scenes for the TV show Gunsmoke. The Eureka was brought there to offer visitors train rides around the perimeter of the park. The parent company went bankrupt in the 80's, and the Eureka itself was caught in a fire at the train station in 1985, leaving it a burned out hulk buried under charred remains of the platform. In 1986 the Eureka was saved once again, bought as part of a restoration dream of one man. A railroader? Mechanic? Boilermaker? Historian? No, how about a Las Vegas Federal Attorney? Yes, that's right, Las Vegas lawyer Dan Markoff purchased the burnt remnants of this once fine machine, completing a dream that began in 1946. That was when his father let him climb aboard the other Eureka and Palisade rolling stock on display at the Last Frontier Hotel on the Las Vegas Strip. It took Dan 6 years of painstaking work to perform the meticulous restoration. He had some help, and even picked up more along the way. Still, it was a difficult labor of love to remove the many layers of burnt black paint and grime to reveal it's original beauty. It's now returned to it's pristine condition with shiny brass and colorful paint that's sure to catch your eye. That it did, when it made a trip back to it's home town of Eureka. There Dan noticed an elderly woman, that turned out to be over 100 years old, that was crying at the sight of the reborn Eureka. When he asked her why, she replied that she recognised it as the engine of the train that took her to school as a young girl. Such a priceless time machine. When Eureka is not being taken out for display on the custom trailer Dan had made, it's tucked in it's specially made garage. The 44,000 pounds of history that has touched countless lives, and where Dan has spent much of his own, is kept at his Las Vegas home. Dan's wife Ditty has christened the garage "The Church of the Iron Horse." This bit of history, and that of the Nevada Southern Railway, is what lies beyond the neon and casinos. For those that love their trains, young kids or old, it's worth a visit. For those 2 weekends in December it might also offer a special holiday memory that can last a lifetime. Just one more of the things that makes Las Vegas a great place to live. From Lake Mead Cruises on the Desert Princess, to local events like the Hawaiian Festival and Super Run Car Show in Henderson or the Balloonapalooza in North Las Vegas and the San Gennaro Feast in Spring Valley, to a wide variety of entertainment and entertainers, Las Vegas offers that and so much to those of us that call it home. If you are interested in relocating to Las Vegas or would like information on Las Vegas real estate, please email me, Roberta LaRocca, at roberta@search4lasvegashomes.com,or call me at 702-354-8988. 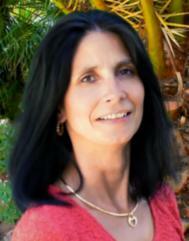 I look forward to hearing from you! What would or could be more pleasant, fun, and exhilarating that a good train through Nevada. Tom: It's a pretty cool ride and through a stretch of local history. Las Vegas itself was once just a railroad water stop in the desert. My Partner grew up in a railroading family in South Texas. He's done all the trains in the lower 48 states and has me addicted to them as well. Considering how close L.V. is to us, I'm looking forward to getting on the trains over there. Jim: Yes, you should check it out. Even better if you can catch Eureka there in December, Dan's restoration is amazing. UPDATE: Had a reminder that there was something else I should mention about the Santa Train weekends. The model railroaders will have 3 layouts in the maintenance shack and a play area with trains for the kids. Also will answer any questions about the how to's of the model trains, just in time for the holidays.